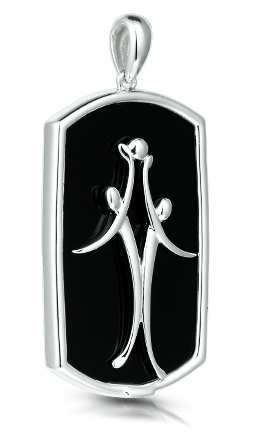 The Jump Ball Tag Pendant features two opposing basketball players jumping to tap the ball to a teammate. The 925 silver illustration is set on black onyx. The tag border and link are also 925 silver.